The workhorse of good search engine optimization is the title tag and it is often neglected by many businesses, large and small. Yes, there is a lot that goes into search rankings and everything is important. But, because of its power, to neglect the title tag is negligent. I have seen websites that are attractive and user friendly but with poor title tags. 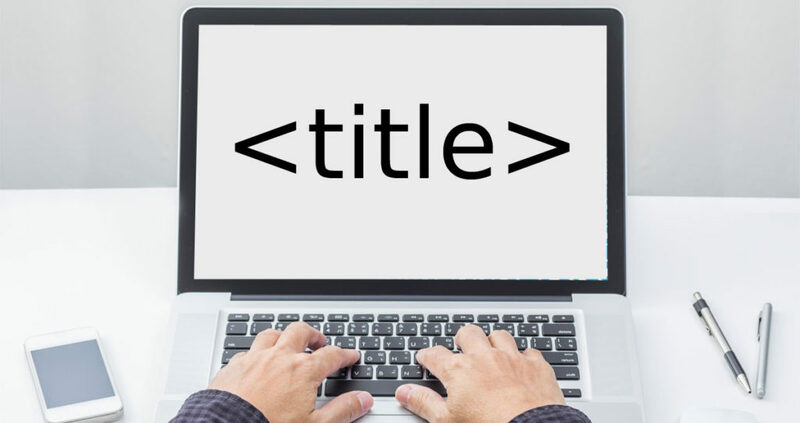 For those sites, simply developing title tags properly can improve search rankings significantly. Each web page has its own title tag and they help both the searcher and the search engines to know what your page is about. The title tag is what is shown in the browser tab and often is the top blue line in a search snippet. That last is important because that blue title also acts like a billboard for your company to grab people’s attention encouraging them to click through to your website. This makes the title tag even more important. If you typed in “furniture+city” here is how one company might show up. The problem with the above tag is that it uses the keyword “furniture” three times. It’s overkill. Worse it’s boring. If “furniture” is already in your company name, then use the rest of the space available to sell your company. Many companies like to use their company name as part of all their title tags for branding purposes. That’s okay if your company name isn’t too long and doesn’t take up too much real estate. If it is too long, try to shorten it or just leave it out and put your company name in the description tag (which follows the title tag and which we are not discussing here). The word limit is 60 characters with spaces. Do not use all caps, but I do recommend capitalizing the first letter of each word. Whether you do your own title tag uploading in-house or give the task to your web developer, be sure to always check that your tag properly published by looking at the code after publishing (usually click VIEW>SOURCE in your browser tools then search for). One last thought, if you have a lot of dynamically generated product pages, often the “container” pages are missing unique title tags or the tags are under-developed. EASY WEB TIP 215: Be prepared to wait for the results of a search engine optimization effort.